This blog is my place to talk about my worries, challenges and wonderful moments of being a mother. I hope all mommies will realize that we do not have to be perfect, just love our kids the best we can. This blog post is the first in a series of posts centered around decisions that special needs families need to make. In this post, Angela will be discussing decisions centered around education. Future posts will include decisions about medication, therapy choices, and natural/alternative treatments. When you are the parent to a kiddo with special needs, there are A LOT of choices that you will be faced with. Some you will be expecting, like medical choices or therapy choices. Others will come a surprise. For me, deciding what education platform would be best for my boys was a surprise choice. I just assumed (and you know what happens when you do that!) that public school would be the best option, but that turned out not to be the case for our family. When my oldest son started kindergarten, everyone was very excited. We met the teacher, bought school supplies and new clothes, dealt with nerves, and all of the things most parents do at the beginning of the school year. Everything seemed to be going well. At our first parent-teacher conference in October, the teacher told us he was progressing well overall, but there were some concerns. His handwriting was not very good and he was acting out in class when he got bored. We talked to our son about it and we worked on some other things he could do when he got bored. Everything seemed to be going well again. Then December came. Two major events happened that had us questioning public school. First, our son had his 6 year old checkup with the doctor. The doctor told us that he had quite a large spike in his weight gain. Enough of a spike that the doctor told us we needed to cut back on what he was getting for lunch. The concern that we had was that he was eating the same lunch he always had (we packed his lunch because he did not like the cafeteria food). After talking with the doctor, we figured out that the weight gain was most likely because he was being less active, not that he was eating too much. Sitting behind a desk for 8 hours a day was taking a toll on his little body. Later in December we found out just how much of a toll school was having. Our son was being seen once a month by a physical therapist for a leg length discrepancy. The PT would measure his legs and adjust the lift in his shoe to make sure he wasn't having any discomfort. In December she had to do a complete evaluation for the insurance company. She came to us after the evaluation and told us that he had lost enough core muscle strength that he was unable to complete tasks that he had previously been able to do. He could no longer do sit-ups, he struggled to stand or hop on one leg because his core was not strong enough to help him balance. The PT recommended going from one visit a MONTH to one visit a WEEK. Just to help him regain skills he had lost. The final straw for us happened in the spring. We were having a 504 meeting to prepare for 1st grade. At that point, we knew we would be moving within the next year or two so we wanted a plan that we could take anywhere. I wanted things included in the plan that his teacher was already doing, even though she was not required to do them (like giving him space to cool down when he got anxious). I had to fight, tooth and nail, to make sure his 504 plan included a statement that his recess could not be taken away as a punishment. I got it in there, but I was upset at how hard I had to push to make that happen. That was when we started discussing other options. Private school was not an option because we could not afford it. I brought up home-school, fully expecting my husband to shoot the idea down right away. To my surprise, he did not. We talked about it at length: what it would mean for the boys, what we would have to do, how we would make sure needs were being met, etc. A large part of our decision had to do with therapy. Between the 2 boys we were already at about 9 therapy appointments a week. Doing those in after school hours was getting more and more difficult, because everyone needed after school appointments. But, if we could do therapy during the day, when schedules were more flexible, then we could fit everything in and do schoolwork in the afternoon and/or evening. At the end of the kindergarten year, we officially filed with the state (every state is different; the state were in at the time required us to notify the school district that we were homeschooling). We both felt SO relieved! We knew that even though it was a very hard decision to make, it was the RIGHT decision to make. Later on, our son started revealing some of the other problems he was having at school that he had not told us about during the year. At 5-6 years old, he was already the target of bullying. That was part of why he would get in trouble in class; other kids would push his buttons and when he responded, he was often the one caught and punished. I cannot tell you how much better I felt knowing that he would not be subjected to that anymore. And I could tell that HE felt a lot better, too. As we discovered on our journey to choosing the right path for our family, there are several things each family needs to consider when deciding what educational platform is right for your kiddo(s). 1. Are my child's therapy/medical/other needs being met in the current situation? I think the first important thing to address is whether or not your child is doing well where they are. If your child's needs are being met, there may not be a reason to change things. BUT, if you think there is more that could be done, if you have reservations about the professionals that are with your child on a daily basis, if you can see that your child is not doing as well as he or she could, it may be time to consider other options. 2. Are there things that could be put in place in my child's current educational situation to make it better for my child? Here you want to think about a 504 plan or an IEP. A 504 plan, like my son had, is a plan that lists modifications that can be done in the classroom setting to help a child be successful with the curriculum. An IEP, or individualized education plan, is a plan that makes modifications to the curriculum to help a child be successful. You would want to talk to either your pediatrician or other professional to decide which plan might be the best. 3. 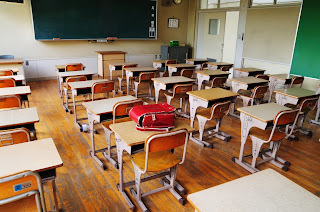 Does my child need a completely different educational environment? If you think your child might need something different, do some research about what is available in your area. Depending on what your child needs, age, functioning, diagnosis, etc., there may be schools or programs in your area that would be better for your child. You can also consider homeschooling and private school. If you are looking at homeschooling, you will need to become familiar with the home-school laws in your state. If you want to consider private schools, you will need to know about cost, including tuition and uniforms. Some private schools offer scholarships if tuition is a concern. But also make sure the school knows what your child needs; some private schools are not as accommodating to special needs. 4. What will my schedule allow? The home-school environment has been working very well for us, but my husband and I both have jobs with flexible schedules that allow us to take turns doing schoolwork. You can work and home-school; you just have to figure out if it works for you. The other thing to consider with schedule is how therapy, medical appointments, etc. will be influenced by your schooling choice. 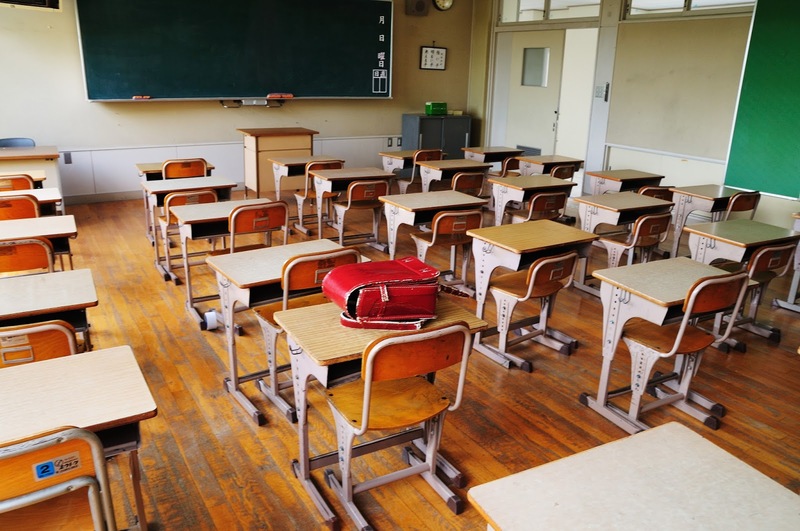 Private schools may have stricter attendance policies, while homeschooling doesn't have formal attendance. Though in some states, you will need to keep a log of hours or other materials, so again, do some research and be familiar with the requirements of your state. This is our second year of homeschooling. It has been hard at times, easier at others. It is definitely a journey and we are all learning as we go. As a NTPM, I struggle with worrying about whether or not we are doing the right thing. But as long as the boys are making progress, I really try not to beat myself up about it. If you choose the homeschooling route, just know that Pinterest is a great tool...but if it makes you feel inadequate, DON'T LOOK! In the end, I know it's going to be OK.